Domestic manufacturer Byond have launched the B67 – a successor to their previously launched B66 smartphone, for 10,999 INR. The device will be competing against quite a few devices, like the two Croma phones launched today, although none come with a 5-inch screen. Other competitors include the Micromax Canvas 2 A110, which was quite a rage at the time of it’s launch, UMI X1 – which also comes with a dual core processor, but a HD screen instead of the WVGA on the B67, iBall Andi 5L which has almost identical specifications as the B67, but is priced 500 INR less at 10,490 INR, but also has a smaller battery of 1800mAh when compared to the B67. It will be interesting to see if Byond is successful or not in catching people’s attention with this phone, they would certainly hope so. The device has a 5.0 inch touch screen, coated with a scratch-resistant layer (something similar to Corning’s Gorilla Glass). 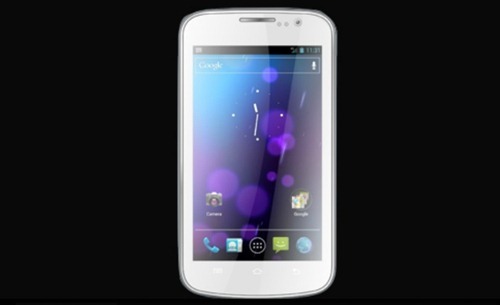 The phone is powered by a 1.2GHz dual core processor and has 512MB of RAM to complement it. Although 512MB RAM is ok if you’re not a heavy multitasker, it will give you problems if you tend to use quite a few applications at once. The Dual Core processor is actually quite a good performer, and should be able to ease through mosts tasks unless it is a very heavy graphic intensive game. But don’t expect too much of it – don’t expect it to deliver the performance of a Samsung Galaxy S3. This is just another device which we think is overpriced for its features – we saw another two earlier today, namely the Croma Smartphone 4.63-inch and Smartphone 5.3-inch. The phone comes with a WVGA resolution of 800×480 which is quite low for a screen as big as 5 inches, pixelation is bound to occur. However, some good things about the phone are – support for dual SIMs, an 8 megapixel camera for shutterbugs featuring autofocus and LED flash. The phone also comes with a 1.3 megapixel front camera for video-calling purposes. To power the entire setup will be a 2000mAh battery, which according to us isn’t overly amazing, but should suffice for a full work day (ie 8-10hrs) of average usage. Do not expect the phone to be up all day if you are a heavy user, or a phone gamer. When talking about the OS the phone carries, it is Android 4.0 which is also called ICS. The phone will offer 4GB of onboard storage to users, and will also sport a microSD card for expansion of the available memory. You can expect to have the slot engaged because 4GB will not be enough for the average user. Apart from that, the phone has built in support for WiFi, Bluetooth and GPRS as well as 3G. The B67 being the successor of the B66 is better in a few departments, but the phones share quite a few similarities as well – both have 5.0 inch WVGA screens, the same processor, the same amount of RAM and on board storage. Byond seem to be aggressive on marketing these days, as we are aware, they had released the Byond Phablet Pi very recently, which sported a 5.3 inch touch screen. We will have to wait and see how the Byond B67 fares in the market, since there are quite a few better options available in the market, for example the upcoming Xolo Q700, the Karbonn S2 Titanium, etc.